Our Grooming Tool were designed by groomers specifically to increase comfort and reduce the risk of repetitive motion injury. 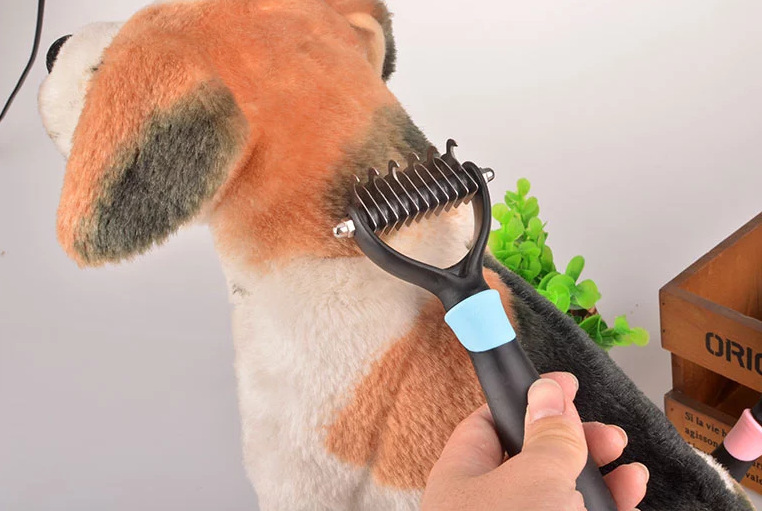 This Rake-Style Matting Comb features 11 razor sharp hardened steel serrated blades that can tackle unmanageable mats and tough tangles quickly and efficiently while maintaining coat length. The innovative pistol grip handle keeps your hand in a natural position to reduce fatigue. Ribbed, non-slip rubber coating provides greater control for safe, effective mat removal with minimal effort.